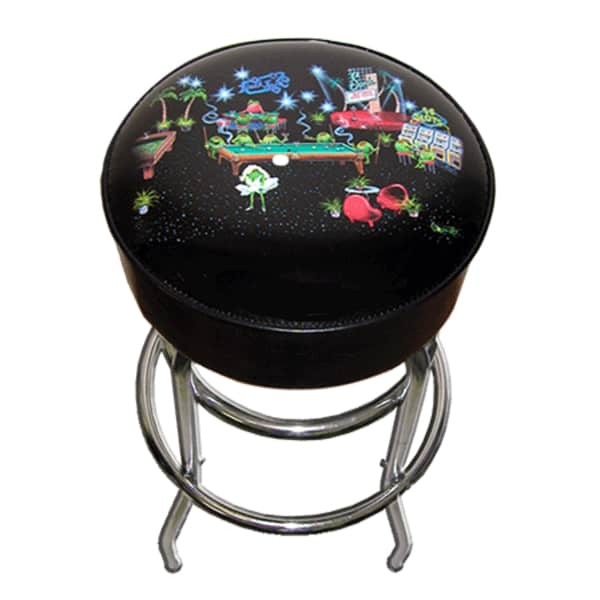 This casino-themed Bar Stool captures the essence of Las Vegas in the beginning when Ol' Blue Eyes and the Rat Pack would cruise the Sands Hotel and Casino. Las Vegas painter Michael Godard offers his celebrated and notorious olive characters shooting pool, playing blackjack and pulling slots in this fun piece from the "Rock Star of the Art World". There's even a Marilyn Monroe olive in the foreground in her iconic pose from The Seven Year Itch!